For most sites, you can just use some of the many online tools and tricks available. 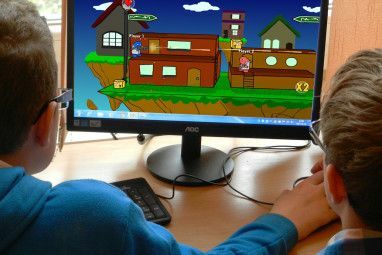 Aibek wrote an article on it last year — How To Download and Play Flash Games Offline How To Download and Play Flash Games Offline How To Download and Play Flash Games Offline Read More . Sadly, MiniClip.com isn’t what we’d consider ‘most sites’. Open the source code with Ctrl+U (Firefox on Windows), or right-click on the page and click View Source. This ought to work in any current-day browser, even though the phrasing might differ slightly. Next, press Ctrl+F to initiate a search, and use .swf as a query (including the dot will filter out unnecessary results). Your first result should be something of the kind you see below: value=”doodle2.swf”. The exact name depends on which file you’re trying to download. Write your value (the name between the quotation marks) down, or copy it to your clipboard. However, if you haven’t got a download manager, downloading with the URL from a browser can be tricky. Because of their support for flash files, your browser will probably try to open the file, not save it. This can be avoided using a simple workaround. 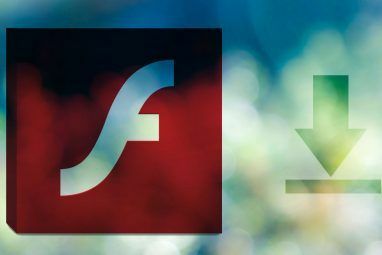 Alternatively, you can install one of the many desktop flash players out there. One free solution that worked pretty well for me is the Swiff Player, but there are plenty of alternatives. 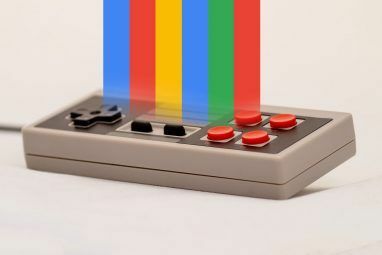 We hope you’ve learned something useful from this MakeUseOf tutorial. If you’ve got any remarks, suggestions or questions about the article, feel free to write something in the comments section below. 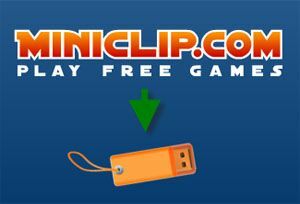 If you are aware of easier way to download Miniclip flash games for free share it comments as well. It seems swaviman request is not answered yet. Simon Slangen maybe has no solution for the game of miniclip.com winter bow master or there is no solution generally for that game. Or Simon Slagen stopped to pay attention for miniclip.com games. Can you help me downloading the winter bow master game from miniclip? i tried your trick but it didn't work. You can also use the firefox add-on Video Download Helper. Change the extensiopn from FLV to SWF. is that ur real photo? just askin. i thimk some swf files verify the place(data storage i.e.) from where u play the file. their code checks whether it is played from the website server otherwise gives a black screen. should try downloading adobe flash and try to change this "security" feature of these files. Yes, that's me. Had it taken for my site. Sounds possible, but not many people will do something like that - too much trouble. Do you have a specific example in mind or are you talking hypothetical? i have tried it out!!! try this link on miniclip.com. download the .swf and try opening it. i used the software 'SWF Maestro' to make an exe of the swf file. its a good,small freeware that converts swf files to an exe in a jiffy. This does not work there is no doodle.swf of anysort and you cannot download anything!!! it works on my dads laptop but not mine why? The technique or the swf file? Hey thanks!! It really worked out for me!! Hi, does anybody know how to download the swf file from the link below? Is it possible to play it offline? It depends most of the games even though you download the swf file, it has its content in a server through the flash file. That is, you need to be online. I tried to download Doodle2.swf and it got downloaded. But when I tried to play it, it's showing a black screen ! Some MiniClip games (especially the more recent ones) give this result. An extra counter-download-measure? Try opening it in a flash player. Dude, Miniclip makes it very easy to put many games on USB. Go to this Miniclip link and download them. You just download onto your USB and they work! Dude, You are wrong, Miniclip makes it very easy to put many games on USB. Go to this Miniclip link and download them. Those are special 'downloadable games'. This tutorial shows you how to download 'any of the flash games'. Some MiniClip games (especially the more recent ones) give this result. An extra counter-download-measure? It can be really tricky, near impossible when the Flash Game downloads a content from another website!! Is there an application that can read the source file of the .swf file? I don't think that Flash can read it. An swf file is designated for playback, a derivative of the original fla file. You can - if they're unprotected - open swf files in Adobe Flash and access the different layers, objects and images, but (to the extent of my knowledge) you can't access the code. Thanks! never thought about it but will try it right now.